Here are 10 best free web based project management software that let you manage your projects online. You can just install free project management software on your existing web server, and then access that from any client m/c using browser. These online project management software make it extremely easy to quickly access your project details from anywhere, as you won’t need to separately install project management software on each PC. This also ensures that all the project data entry is done in a single database located on web server, and all the clients accessing project details always get same consistent view of the data. dotProject is open source online project management application. The application is developed with all the features used for the easy project management and simple to use modules. The freeware project management is appropriate for small and medium-sized firms and companies. With the online project management software, you can easily keep record of the projects their status and monitor the phases that is taking time to complete. The modules included in the application are complete set of tools that will report you the project course of action and milestone achieved. As the projects are vital part of your business, you need to be alert with the success rate of the projects and also monitor them closely to fulfill your commitments. Use the discussion forum and Gantt charts to understand and discuss various stages of the projects with your team members. All your data and info will be saved in Cloud and you can manage your projects and resources online that too for free. Here are some online demo links for dotProject. Read more about dotProject, or download free here. Dooster is an easy to use online project management software that is more suited for simple projects. It does not have advanced features, but that means it is ideally suited for smaller projects for which you do not want to spend too much time struggling with advanced project management software. It supports team collaboration, and you can create task, assign them to team members. You can operate this web based project management software from your cell phone too. Best part about Dooster is that you do not even need to download or install it on your web server. You can directly access it online using your free account. Free version of Dooster supports 2 users and 2 projects. Read more about Dooster, or try free here. Achievo is free web based project management software that offers wide range of tools and features to manage your various business resources and aspects. With this free web-based project management, you can effectively manage your projects timely along with managing various other vital business aspects simultaneously. The application is developed with advanced features covering almost all the phases and combinations of the project. This free project management software is for small and medium size enterprises. The enterprises can keep track of their projects and commitments with their clients with this very handy tool. The program code fits easily to the requirements of every organization which will help all the hierarchy of delegation to keep track of the projects, its phases and combinations to understand the project success. This feature will help your employees to register their time with the projects and its phases. They can register weekly or daily timings else, hour reporting and blocking of time periods. 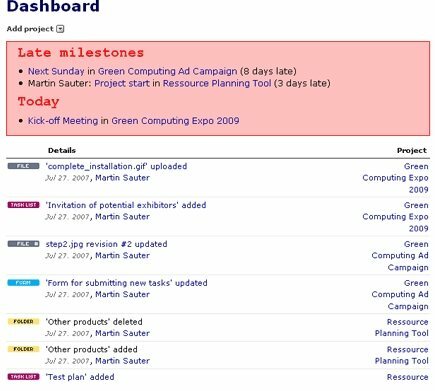 The freeware is uniquely designed project management tool that keeps tracks of the ongoing projects in your company and their phases completed and their success rates. The freeware is designed to keep you abreast about the project status and also help you to manage your contracts. This feature of Achievo allows you to control your suppliers and customers and all the related components of the business transactions. The HRM feature will manage your employees and human resources in your business. You can install Achievo on any web server that has PHP and MySQL installed. It can be installed on both Linux based as well as Windows based web servers. WebCollab is another easy to use free web based project management software, WebCollab comes with a very easy to use and intuitive interface. You can install this project management software on your server, and then access from any client machine. It is especially useful for managing multiple projects, and collaborating on projects. It highlights the projects that are approaching deadline. This project management software can be used with both MySQL, as well as PostgreSQL. Read more about WebCollab, or download free here. You can also check out online demo for WebCollab. Collabtive is free web based project management software that offers you functionality to manage your projects, benchmarks and milestones easily and efficiently. This is a cloud based project management software, and all your work and data are stored in Cloud so that you can access them whenever you want and also assures their security. You can manage any number or projects using this app and many members with many user profiles use this app. The app is web-based, and you can install it on your web server. After that, simply create your user profile with details with the freeware and start managing your vital projects with this simple cloud based project management tool. The app will do all the aspects of the project management along with file management to time tracking. Also, send email notification to your team members with this freeware without using external mail server. The interesting functionality of this web based project management software is its reporting and notification features. The app has program code that will report you timely tracking activity logs and messages in PDF format which are printable and can be mailed. You can also export user profiles as vCard which can be shared with your colleagues. Features include projects, to do lists, tasks, milestones, files, time tracking, internal messages, and an AJAX based instant messenger combined through an intuitive user interface. You can download Collabtive for free. LessProjects is another free web based project management software that you do not need to install on your web server. As is with Dooster, it is more suited for managing individual tasks. You can assign priority to tasks, assign tasks to users, and create multiple projects and manage them together. 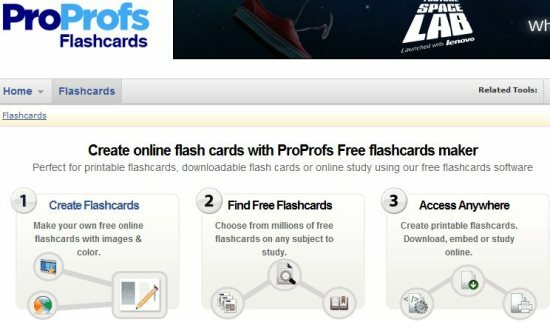 LessProjects is completely free at time of writing of this article, but a paid version could be added soon. Read more about LessProjects, or try free here. ProjectPier is open source web-based project management software, which is simple, powerful and feature rich application. ProjectPier gives you an adaptable system for managing projects which will centralize your various components of the business and manage your projects effectively and efficiently. The application involves multiple organizations by providing a central place for all project activity and information while integrating with users’ existing tools and workflow. This free web based project management software is developed keeping in mind the projects, which requires constant and daily vigilance. When it comes to milestone, the software must be equipped with all the tools that will help you keep abreast about the ongoing activities and scheduled task. ProjectPier sends e-mail notifications for all important events. Therefore, even if project members should forget to check the website they will stay in the loop. As the application is web based, it can be accessed from anywhere in the world, you just need internet connection for using this application. Moreover, there are no limitations for the number of projects, clients, users, or tasks you manage with this freeware project management software. Project-open is free online project management tool which is completely web based. The application covers all the business areas which includes receipts and payments, customer management, human resource management, invoicing, project tracking and planning and time sheet management. You can install Project-Open on your web server, and use for completely free. Project-Open also provides a SaaS option for which you can pay a monthly fee. The freeware project management software is very easy to use and intuitive. The management module includes almost all the business scenarios. Thus, the application has nearly more than 25 modules covering all the parts of the project management and business resource management. What does the project management module includes? Issue Management: this feature of this online project management software tracks and reports issues relating to the requests and complaints from the customers, which are important for running business. You can filter and report the issues and understand the status and priority with this feature. Gantt Charts: the graphical representation helps you to understand the scenarios in quick manner as you can avoid the details and deal with the info as whole with easy to understand Gantt Charts. Time Sheet Management: The Time sheet management module keep track of the internal costs caused by staff and employees, as opposed to external costs caused by freelancers, providers etc. Reporting: this module allows you to extract information from the database in a similar way to other mainstream reporting packages. Resource Management: this feature facilitates the resource planning and management process with reports showing assignments and resource utilization across all the projects. Project Completion Tracking: the feature allows you to track your project completion time. You can track all the projects in the schedules and on time. You can access the project completion with the completion % of the task allow to calculate the ratio between spent resource and project progress, allowing the senior management to detect project deviations early in the project cycle. Here is an online demo for Project-open. Download Project-Open free. Project HQ is web based project management tool. Project HQ uses a structured workflow to assist you in managing your projects. Add as many projects as you want and track your company events and activities that require to complete your projects and milestone. Schedule and track the completion rate of the projects with this easy freeware. Update: The official website is down (24 Feb 2013). mod_python and FastCGI can be used, but WSGI is recommended. Client Requirements: the client requirements of the freeware Project HQ, you will need a standards compliant web browser. Project HQ works well on Safari, Firefox and Opera. IE 7 and 8 will also work fine. Please note: IE 6 and lower is not supported. It may work, but we have not tested Project HQ with these browsers. web2Project is a free online project management application. The application is simple and interactive as the app is feature rich equipped with all the modern tools and functions for effective way of managing projects. The application is very fast and very easy to use. the system was reworked to reflect better database design principles, clean Object Oriented Programming, and a solid permissions model. Here is an online demo for Web2Project. 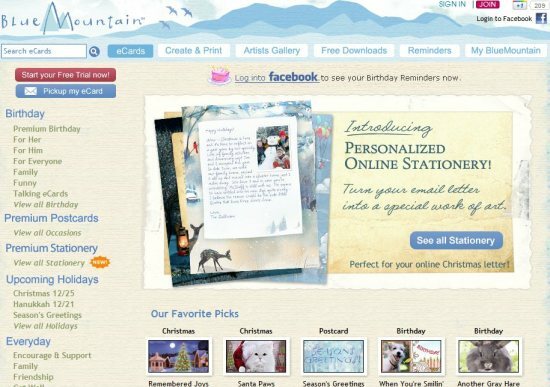 Download Web2Project free. Another software that deserves honorary mention is Verb.